“I just wanted to let you know that [daughter's name removed] is a different person: she sleeps all night, rarely has eczema, and has colour in her cheeks. Thank you so much." "My remedy took away symptoms so wide ranging and demoralising that I thought I would have them for life. After one week on the remedy they were fast disappearing, after three weeks they had completely gone and when I was interrogated recently by my son regarding my health I discovered they were so completely gone that I'd forgotten they were ever there. I can't recommend her highly enough." "After suffering with severe stress headaches for a number of years I decided to seek the help of a homeopath, to try and stop my constant consumption of painkillers. I found Sandra to be very friendly and easy to talk to. After having had my 'constitutional remedy' it's only now I realise how run down I was.Within a few days my headaches were gone, and I can honestly say that they have not plagued me since. It has made a huge difference to me. I believe it was not only Sandra's training and experience but her insight and understanding of people and their make-up that got me feeling fit and able again with exactly the right remedy for me! I have no doubts in recommending her to anyone, knowing that she would be able to apply the benefits of homeopathy to their full effect." "I first visited Sandra in September 2014, as I had large and troublesome ovarian cysts and had been strongly advised by a gynaecologist to undergo surgery. Following an extremely thorough initial consultation (which focused on my whole life, as well as my whole body), I began a recovery journey towards a healthy self - one which had lain buried under years of fatigue, sadness, depression, addiction, shame and general self-neglect. In July 2015 the gynaecologist has advised that I do not now require surgery - the cysts have shrunk and I am pain free. Sandra offers a completely zero-judgement zone which allows me to express myself freely, without fear of reproach, and has provided not only remedies for specific and sometimes unfathomable ailments, but offers a safety net, a warm place wherein she nurtures, encourages, motivates... and heals. I would not have a moment's hesitation in recommending Sandra if you want to get your physical and emotional life back on track." “Sandra was recommended to me by a friend who had found that her asthma symptoms had been relieved by her homeopathic treatment. I had a severe attack of oral lichen planus in the spring of 2012, originally thought to be cancer, which had entailed a biopsy on my tongue. I was unable to eat solid food and had lost weight and felt very low. I had a very large and painful ulcer persisting along one third of the side of my tongue, as well as extremely painful gums and cheek tissue. Sandra visited me at home and commenced treatment. With the remedy I felt some relief almost immediately. The most helpful part of the treatment came with monthly follow-up appointments to assess my response to the remedies and monitor my progress. I felt renewed by these treatments as the ulcerated area shrank and the pain and discomfort in my mouth settled, without the use of the steroids prescribed by my doctor. I had a relapse in August of that year, which lasted about a month, due to my overdoing it somewhat, but by the end of September almost all my symptoms had disappeared. I have now had almost two and a half years completely free from any symptoms. This was despite the stress of giving up my home and moving 150 miles away from Devon. “Sandra has helped me and members of my family with homeopathic remedies for a number of conditions, including hay-fever, labrynthitis and stress-related symptoms. Sandra is a well-grounded, practical person with natural intuition and keen intelligence. She has a warm sympathetic disposition which makes her very easy to talk to. As a homeopath Sandra is extremely thorough and professional in her approach, and is genuinely driven by wanting to help people to improve their well-being. Sandra uses appropriate doses of the remedy required and encourages feedback to assess the results. In my experience the remedies prescribed have proved to be highly effective. The treatment I have received has helped me to regain my mental focus and physical stability. “I had tried it all - creams, 'special' vitamins, hypnotherapy, and even laser therapy - but my problem with heat, and blushing in particular, remained as fiery and stubborn as ever. It was really getting me down, causing me to avoid social situations and making the idea of a relationship seem painfully unrealistic. Then someone suggested that homeopathy might help, so under the recommendation of others, I decided to book an appointment with Sandra. On the day of my initial consultation I was met with a smile and immediately made to feel at home. I am always quite apprehensive to lay all of my problems out on the table with 'strangers', but the atmosphere seemed so relaxed and instigating of trust that I had no problem doing so in this situation. It was very clear that I was speaking to someone who really knew her stuff and towards the end [of the consultation] we already had a pretty good idea of what might help and why. I left the consultation with an unusual sense of optimism and an eagerness to try out what Sandra decided to prescribe. A couple of days passed and I received my prescription, along with supporting dosage instructions, so it was time to try it all out. I will admit I didn't notice much for the first 3-4 days and started to get a bit defeatist, but then, after about the one week mark, things started to happen. Almost overnight I began to feel more confident in social situations, happier in general, and much, much cooler. I continued to take the recommended dosages and the positive effects continued and have remained up to the present day. I'm not saying I never blush or get hot anymore (it would be a bit odd as a human if I didn't), but it is certainly a lot more controlled and I feel a lot happier in myself. “Sandra Joyce treated me for re–occurring headaches, feelings of panic and tiredness. All three were ongoing difficulties that I thought was normal for me. During the consultation process, Sandra was very professional, giving time for me to answer quite detailed questions and encouraging me to think of issues that I had not considered before, through her careful questioning. The headaches were greatly reduced and I rely on her doses of [remedy name removed here] for such stressful experiences as flying, Ofsted, teaching observations and dealing with tricky family issues. 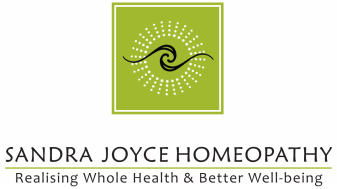 Not only has Sandra demonstrated a wealth of knowledge about homeopathy but she is able to explain clearly, without the use of ‘jargonese’, how the procedure works and why different remedies work with different people, based on their answers to questions.